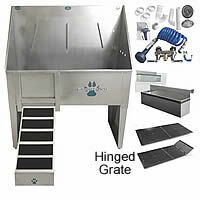 Groomers Best 48" Walk-Thru Pet Tub w/Clip-On Ramp, Faucet Kit, Door, Bottle Holder & Grate. Complete Package Deal! Groomers Best 48" Walk-Thru Pettub w/Clip Ramp, Faucet, Bottle Holder, Grate. PKG Deal! 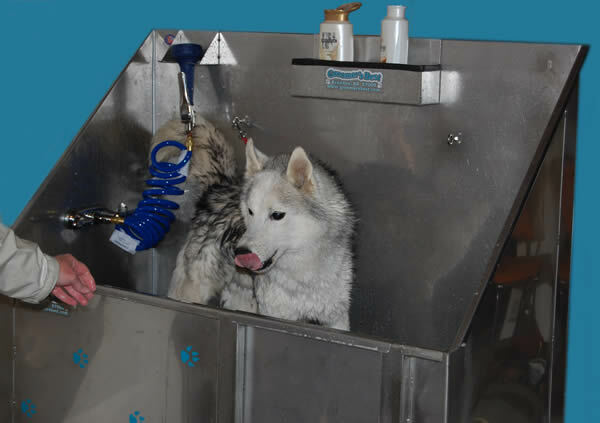 Ask a question about the: Groomers Best 48" Walk-Thru Pettub w/Clip Ramp, Faucet, Bottle Holder, Grate. PKG Deal! For Small to Large Dogs Such as Shepherds, Labs, etc. Solid Stainless Steel Walk-through Tub with Ramp.This complete bathing system is ready to go. Just hook it up to your plumbing and start bathing. The walk through design with ramp makes transporting animal into the tub much easier on groomers and pets. The ramp is a removable (just lift off and set aside) or it can be bolted (includes bolts). At times you may not want to use the ramp. A few turns of the bolt and the ramp is either off or on. A great feature! Made of 20 gauge 304 stainless steel for durability, and will never rust! 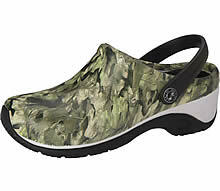 Strong, durable and versatile. High back and sides protect against splashed and shaken water. Prevents toxic or bacteria-laden water from entering a home’s water supply. This can occur if the hose is left in a puddle of water and a pump is suddenly shut off or a water main breaks, causing negative pressure in the line. The vacuum breaker allows air, but not water, to enter the faucet. The tub will have 3 port holes so you can use a 4" faucet or an 8" faucet. It comes with a stainless still plugs that matches the tub stainless so you can plug the port hole that is not being used. Anti-Siphon: prevents unwanted chemical siphoning, if city water pressure drops to zero, and changes in elevation create negative pressure. Note on Water Ports: If you choose the Center Back Wall Water Ports, the faucet will be offset to the right or left if using a 4" on center faucet. The tub will have 3 port holes exactly centered on the back wall for a 4" or 8" on center faucet. If you use a 8" on center faucet then the faucet will be centered because you will be using the outer 2 port holes. If you use a 4" on center faucet then you will be using the 2 right or left port holes. - Full Backsplash Length: 37-1/2"
The bathing system will need to be put together. 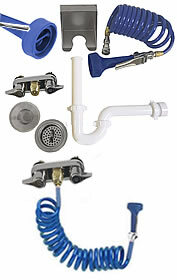 Such as: You will need to attach the legs and install the plumbing kit.